The introduction of Near-field communication (NFC) initiated a new revolution in the domain of mobile payment mechanisms. Users don’t need to carry the credit/debit cards with them, as the transaction can be done contactlessly with more security. Besides fintech companies, smartphone makers quickly jumped on the bandwagon to come up with their own set of solutions that can seamlessly integrated with their ecosystem. 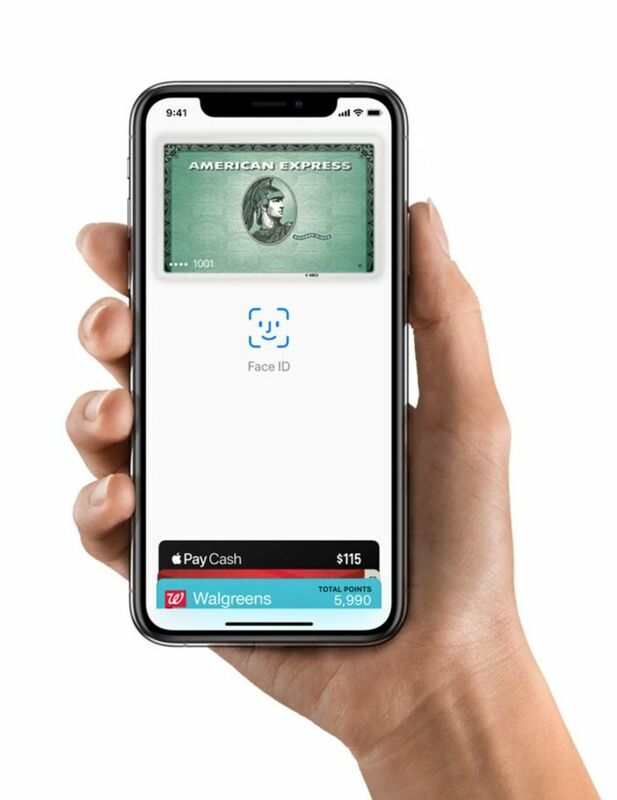 Apple took the pole position by introducing Apple Pay back in 2014. Google launched Google Pay as a rival, while Samsung released Samsung Pay. Apart from contactless payment options, these companies incorporated a number of alternate payment schemes, such as magnetic secure transmission, Unified Payments Interface (UPI) and more. The internal security infrastructures behind Samsung Pay are based on Samsung Knox and ARM TrustZone. The payments must be authenticated using a biometric validation process, such as fingerprint scan or face recognition. 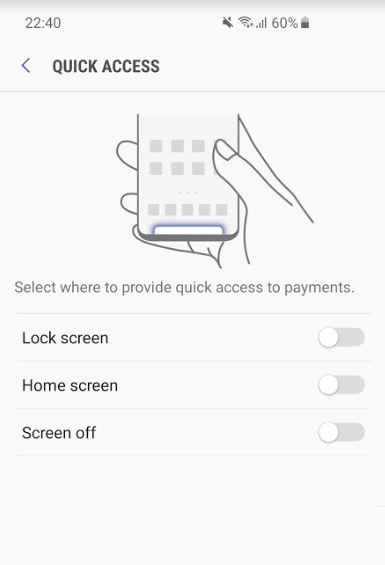 Samsung Pay also requires you to authenticate yourself on your phone before you can use it to make a payment. You can use the fingerprint sensor, enter the device PIN, or authenticate via the iris scanner on devices that have one. So a lot of security for a very convenient way to pay, making Samsung Pay quite trustworthy. But what happens when the Samsung Pay app has automatically decided to open itself in a random manner? Although a fintech themed Terminator is a far fetched dream, but a number of Galaxy S10 users are experiencing this weird bug. Some users speculated that the swiping gestures and/or Quick Access might be responsible for waking up the app. Guessing because even when locked, sliding up from the bottom opens the app, it might be opening a lot in your pocket rubbing against your leg? However, the affected users have tried to turn off all those options, but Samsung Pay keeps popping up in background and draining battery. Comment from discussion phatrice’s comment from discussion "Samsung pay keeps opening". I noticed that Samsung pay has a lot of background battery usage even though I haven’t used it recently. 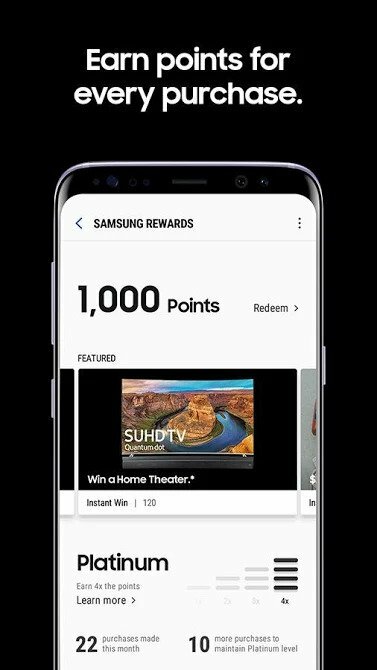 I’ve turned off all the notifications and the alerts from within the Samsung pay app. One thing I noticed is if I go into device well being, it shows Samsung pay as having opened many times throughout the day even though I’ve never opened it. Is this normal? How can I fix this without disabling Samsung pay? Workarounds like turning off favorite cards are not applicable for every case. In fact, some users are always getting Samsung Pay opened right after unlocking the phone. Everytime after I unlock the s10+ goes straight to Samsung pay app. How to I stop that? All quick access options are off on the app settings. At this moment, people are abruptly uninstalling the Samsung Pay app to get rid of this ghostly behavior. We are not sure whether the latest version of the app itself or the March security patch for the Galaxy S10 is causing the accidental wakeups. A Samsung Moderator has responded to one of the bug report threads, and suggested to check if Samsung Pay is opening automatically under safe mode or not. Readers may find some similarities between this incident and the random waking up of Galaxy S10 due to buggy proximity sensor, although the incidents should be uncorrelated. 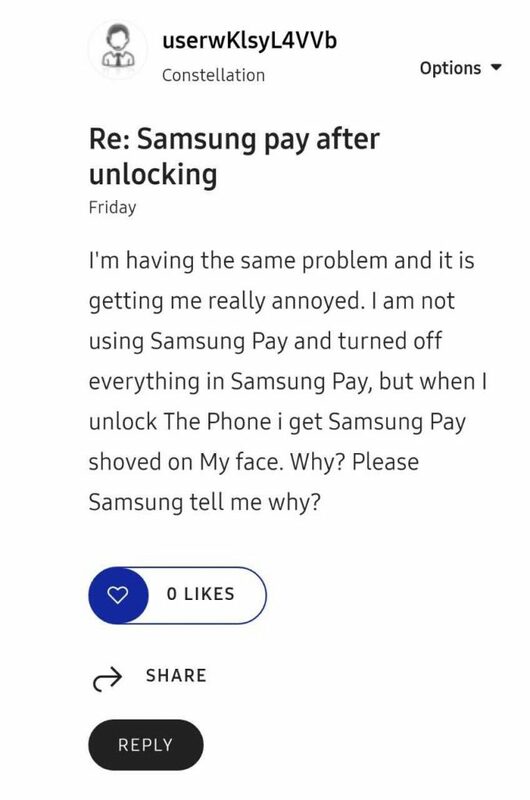 Have you experienced the aforementioned symptoms with Samsung Pay in your Galaxy S10? Comment below.